- A refreshing, oriental, woody scent recommended for daytime wear. - Essences of honey, chocolate and caramel and has notes of vanilla, sandalwood, and patchouli, accompanied by fruity notes of fresh citrus, melons, peaches, and plums. 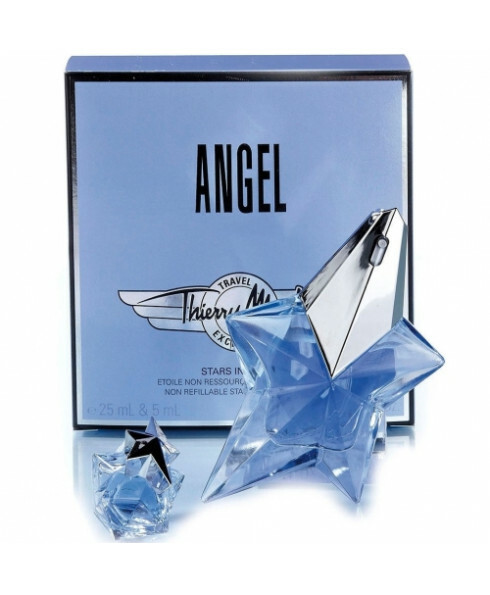 - Mugler Angel EDP 25ml. - Mugler Angel EDP 5ml.